Consumer Product Safety - Is your gift safe? 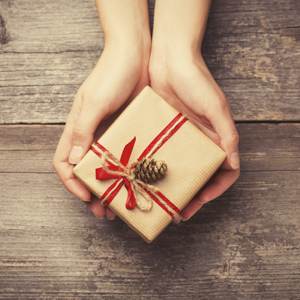 Home | Blog | Consumer Product Safety: How Safe is the Gift You Are Giving? The holiday season is in full swing. Millions of shoppers are searching for the perfect gifts for their loved ones. When you are checking your list twice, be sure that the gifts you choose are safe as well as enjoyable for recipients. Here are some consumer product safety tips for your shopping list. If you are one of the many gifters that are trying to find the best deal, you might be considering purchasing a gift that has been slightly used. If you are thinking of purchasing a second-hand item, be sure to check if the item has been recalled. You can visit SaferProducts.gov and search for the item by name. The site also allows you to search for any consumer product safety incidents that have occurred with a product, even if it has not been recalled yet. When shopping for children and teens, it is important to follow the recommended age limits for toys and products. While you might think your child can handle a toy above his age range, children often use products in unintended and unconventional ways that can lead to accidents. Toys containing small parts can be hazardous to young children and toys with high-powered magnets can be fatal if swallowed. Tablets and other mobile devices are popular gift items, but if purchased for a child or someone that isn’t familiar with online best practices, they can be risky from a cyber security and financial standpoint. If your child has a tablet on her wish list, there are two safe options to consider. Depending on your child’s age, there are specially designed mobile devices that are catered to younger children. Often these tablets come pre-loaded with age-appropriate apps and parental controls. If you are shopping for a pre-teen or teen, you can avoid potential identity theft by also giving gift cards that can be used to purchase apps and other content. This ensures that your phone bill or credit card will not be charged and keeps confidential information out of your child’s – and potential identity thieves’ – hands. Registering new products ensures that if there is a safety recall in the future, you will be notified. Often, registering new products also activates the manufacturer’s warranty, which can save you money if the product is defective long after most stores’ return policies. If you or someone you know has a question regarding product liability, let us know. Contact us 24/7 for the Results You Deserve®.